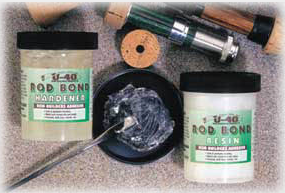 A two-part, tough, durable yet flexible epoxy adhesive, made specifically for fishing rods and the unique applications that rod building requires. 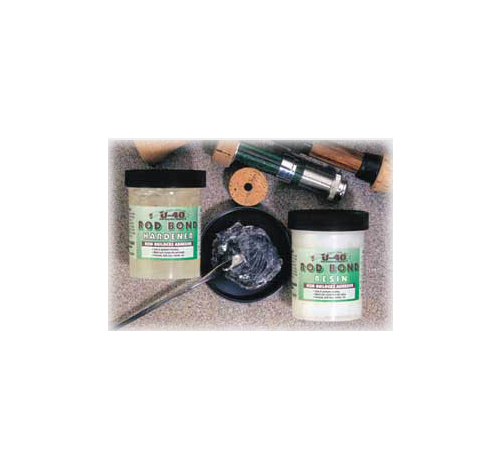 Usage of this remarkable product is limited only by the rod builder's imagination. It can be molded or machined, drilled and tapped. Color can be added for special effect. For handles; cork and synthetic, this adhesive acts as a lubricant so the handle can be precisely placed into its proper location.